HWPL, the Strong Peace Wind: DPCW, 3rd Annual Commemoration "Peace Letter Day"
Peace letters sent to the leaders of 193 countries, calling for support for the passage of the DPCW as international peace law. On 14th March, HWPL, Heavenly Culture, World Peace, Restoration of Light will hold a ceremony at Jamsil in Seoul to celebrate the 3rd Annual Commemoration of the DPCW, Declaration of Peace and Cessation of War. Around 30,000 participants are expected to attend, including both domestic and foreign experts from fields such as politics, religion, youth and women organizations and the media. 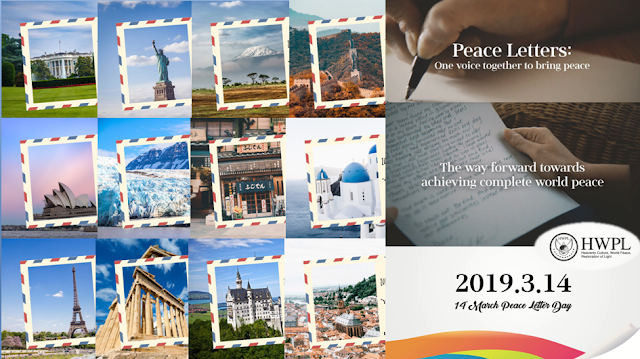 This celebration of the 3rd anniversary of the DPCW held by HWPL will also further emphasize a renewed beginning of a passionate letter-writing campaign with the goal of supporting the legislation of the DPCW as international law. 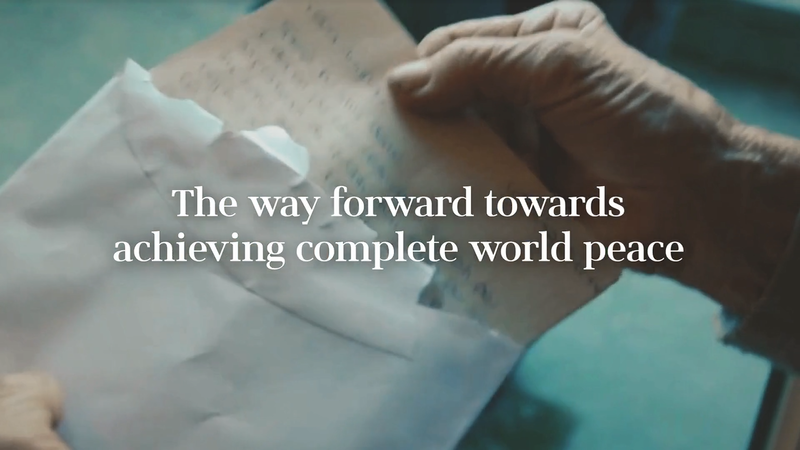 The "Peace Letter" campaign has been actively conducted since last year by the IPYG, International Youth Peace Group, which is a close partner under HWPL. Through this campaign young people from all around the world have written letters directly to the leaders of their respective countries urging them to support the DPCW on a national level. At the ceremony, HWPL will introduce the achievements that have been made through close cooperation with international organizations, governments and civil society groups since the proclamation of the DPCW. These results include advocating for the DPCW and actively cooperating among countries to peacefully resolve disputes under the principles of the DPCW, the spreading of a culture of peace through civic participation and the garnering of support for the freedom of religion. International organizations such as the Pan-African Parliament, which represents a totally of 55 African nations, the Baltic Black Sea Council and Central American Parliament have acknowledged and given their official support for the DPCW and agreed to continue to work with HWPL in the future. Citizens from 176 countries around the world have been actively participating in the "Legislate Peace" campaign which seeks to promote peace and the legislation of an international law for peace. The sincere and dedicated participation of the youth, women and citizens form all over the world has shown that following the principles laid out in the catalyst for uniting everyone in the world together under the values of peace and allowing the achievement of a peaceful and harmonious coexistence. The second portion of the ceremony will feature a lecture given on Civil Society's Role for Peaceful Unification of the Korean Peninsula. In addition, the HPWL International Law Peace Committee, which has written and revised the DPCW, will hold the 7th committee meeting and then produce and present a curriculum for education the global village about the importance and value of the DPCW. This year also marks the 100th anniversary of the March 1st Movement which inspired the fight for the independence of Korea. The Declaration of Independence, which was written by 33 representatives of the people of Korea at that time, not only declared the independence of Korea but also included the proclamation of the value of peace and harmonious coexistence. 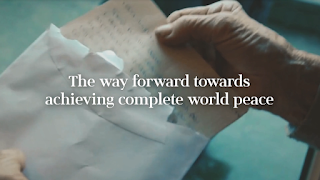 The DPCW, which has been proclaimed by the Korea-based NGO HWPL, also acknowledges and promotes peace on the Korean Peninsula and around the world in a similar fashion to the Korean Declaration of Independence. In the same way that the march first Movement had an impact on the independence movements in India, China, the Philippines and Egypt, the peace movement that started in South Korea through the passionate efforts of HWPL, is now creating a wave of peace that is spreading to many other parts of the world. The 3rd Annual Commemoration of the DPCW will not be limited to the event in South Korea but will also be held in major cities in over 50 countries across the globe. We must do all we can for the implementation of the DPCW.